Cultural Front: Jay Elect and "The Ghost of Christopher Wallace"
Jay Elect and "The Ghost of Christopher Wallace"
Oh yeah, speaking of verbal skills, folks with they ears to the so-called "underground" rap music scene are pretty much in agreement about the illness that is Jay Electronica's The Ghost of Christopher Wallace. Elect so throw-back, look-forward fresh with his. But check it, folks also gotta mention how they hate that Diddy talks on and on at the end of the track for waaaay too long, they say. I'm not so bothered by it, but I get they point. 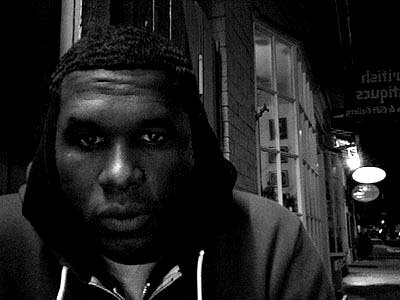 Look now, though, and we have Jay Electronica explaining the making of the song. He notes that he was the one that had Diddy going on. "I told him to," Electronica explained. "That's the Puff I love. That's the Puff I wanna hear. I grew up listening to Biggie records and all these other records. I hear both sides of the coin; some people like it, some people don't. He went long. We was supposed to go in the studio the next day with the engineer and only uses pieces. But I told him, 'Leave it all the way in.' I wanted it like that. A lot of times when I leave skits on there, it serves the same purpose. It's keeping the atmosphere and the energy." So Diddy probably expected to have his words cut in the revision process, and Elect wanted it there. Whatever the case, I loved reading about the background on the creative, production process.